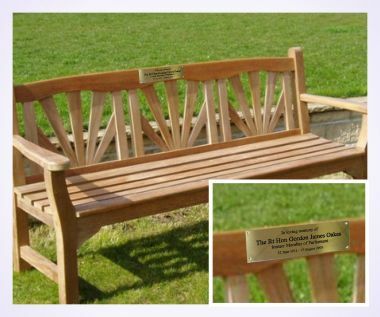 Our traditional Brass Commemorative Bench Plaques are ideal as a lasting and timeless memorial of that special occasion or event. Designed specifically to suit the slats of most commercial benches and produced to order using a high quality engravers brass, supplied at 1.5mm thick and complete with bevelled edges (other thicknesses are available). 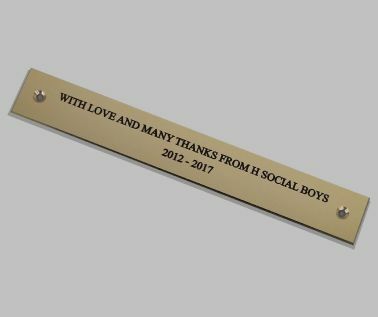 These Brass Bench Plaques are ideally suited for either interior or exterior use however they will tarnish with time and location. The text is often filled black to give a prestigious contrast to the brass, however other colours can be requested. 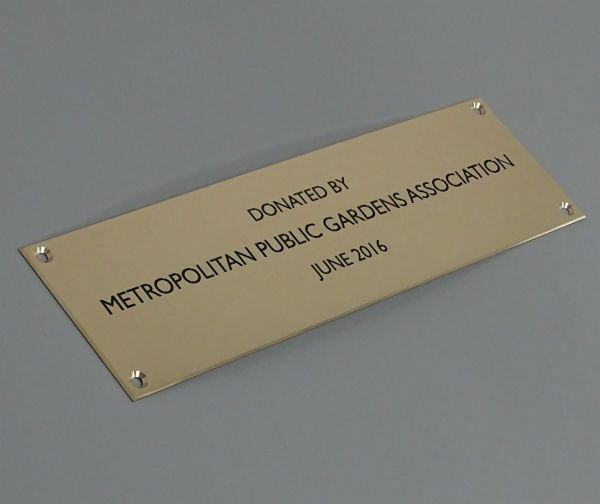 Enhance your Brass Bench Plaque with the addition of a border and/or an image or logo. Plaques are supplied with 4 x fixing holes and screws (2 x fixing holes for the 175 x 25mm size). 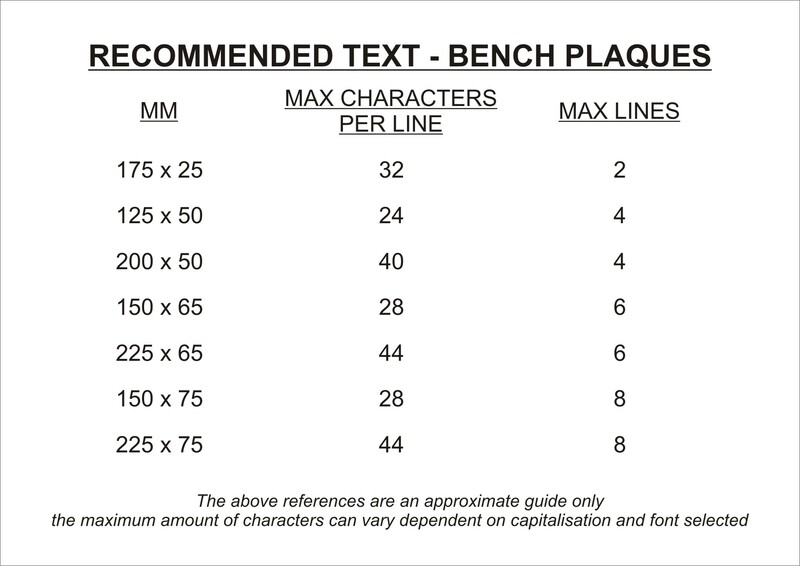 Please Note: The Bench photographs shown are for illustration purposes only. 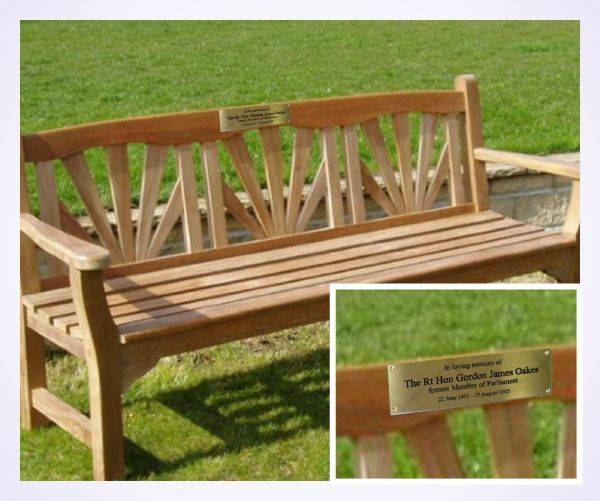 Brass commemorative bench plaques are supplied with 4 x fixing holes and suitable brass screws. (2 x fixing holes for the 175 x 25mm size). For fitting instructions please click here. *Logos/Images may attract an additional charge dependent on complexity & number of colours. Brass is a metal that will tarnish in its natural form. How quickly this tarnishing occurs is dependent on where the plaque is sited and the conditions the plaque maybe exposed to. For information on how best to polish your plaque, please click the following link to view a video tutorial. Please note brass is a metal that will tarnish with time and location. 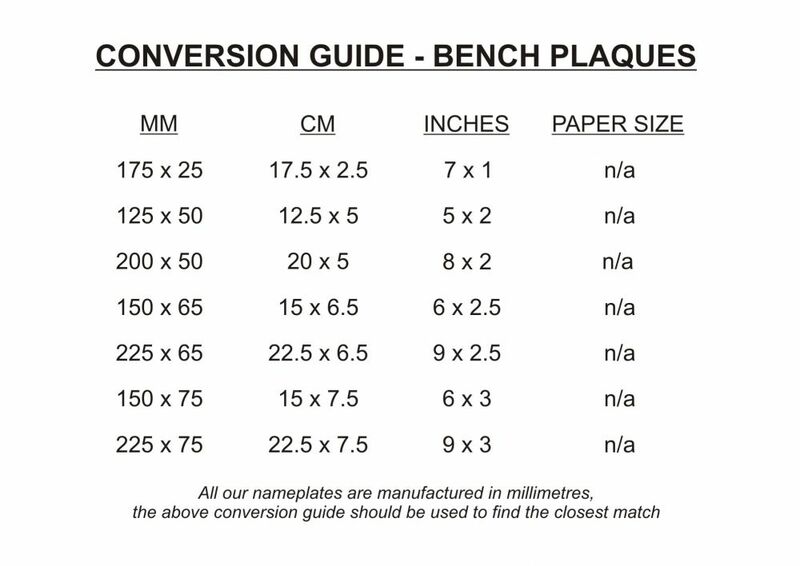 To help maintain your plaques' appearance order your product care above (see sundries section for full product descriptions).